Our football parties for kids start from just £50 and are perfect for your little champions. 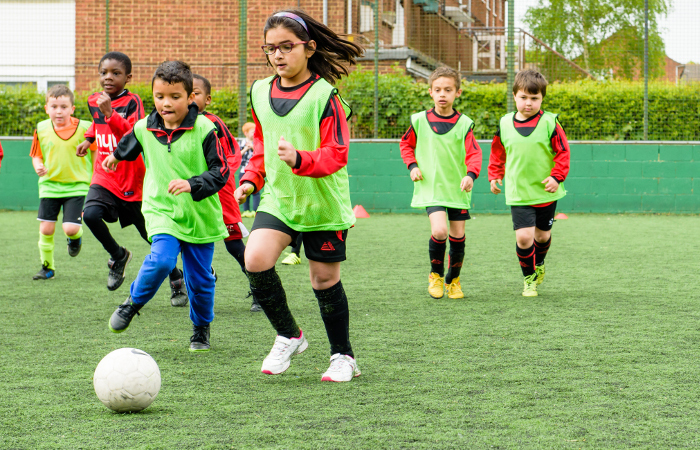 With action packed games, competitions and races run by our FA accredited coaches. Guaranteed to wear kids out and keep them smiling from ear to ear! Enquire today by filling in the form opposite. Keeping kids entertained is what makes a great party. That’s why our football parties are packed full of football skills, games and mini matches, as well as lots more fun activities, such as competitions, races and reaction games to keep them on their toes and having fun. Our football parties for kids are available throughout Hatfield, WGC, St. Albans, Potters Bar, Stevenage, Harpenden and Borehamwood. Please note that the venue is not included in the price, though we’re more than happy to help you find somewhere suitable!